The ultimate in heat printing efficiency. 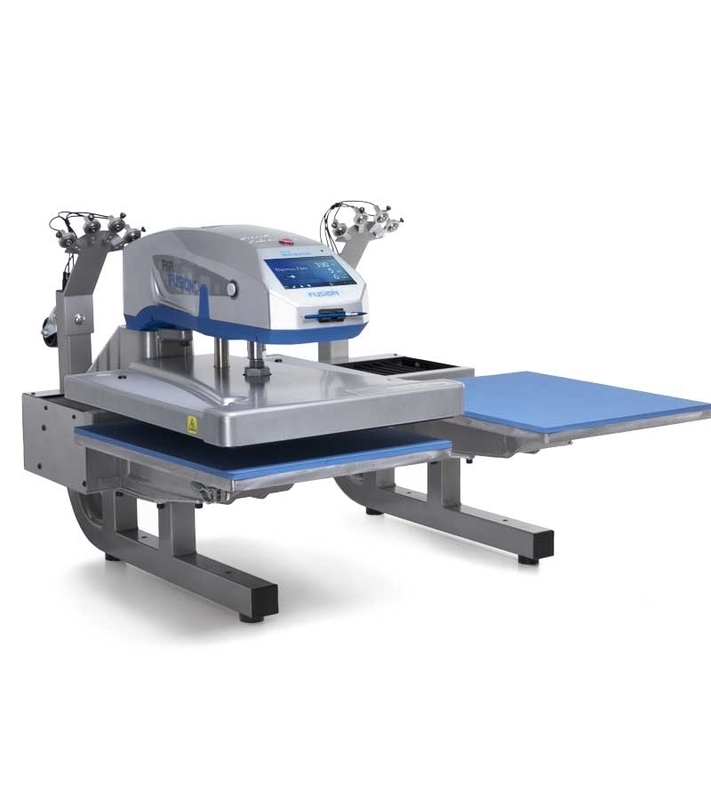 The Hotronix® Dual Air Fusion IQ™ heat press acts as two heat presses in one. The upper platen shuttles between workstations, adjusting time and pressure as it goes. Program the press for preheating garments on one station and final application on the other, leaving you free to prepare one station while the other is pressed. Controlled by the push of a button and tap of a foot pedal, stations can be operated in unison or independently.